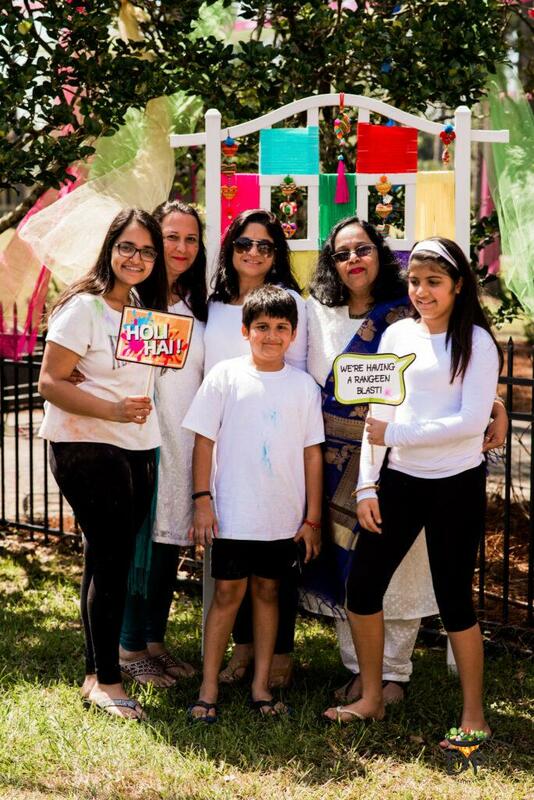 Holi, the festival of colors, is a time to have fun with friends and family while displaying our cultural heritage. 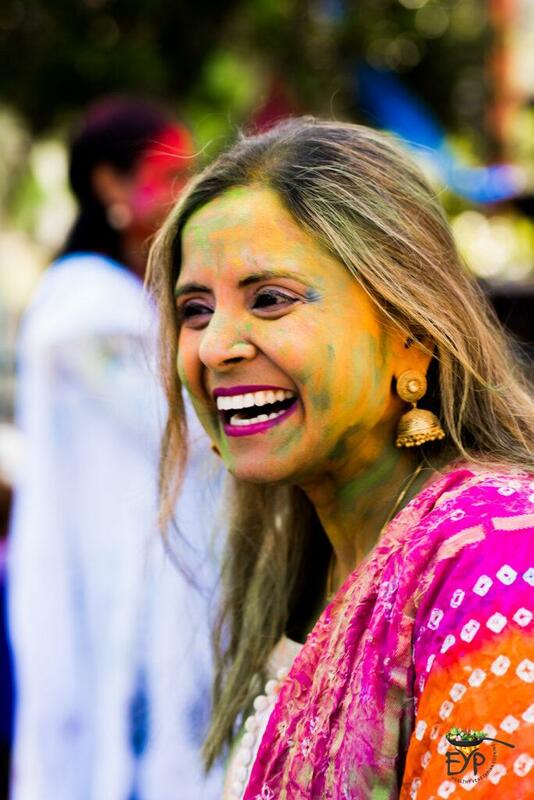 For those of us who live outside India, we often rely on community events to celebrate Holi. 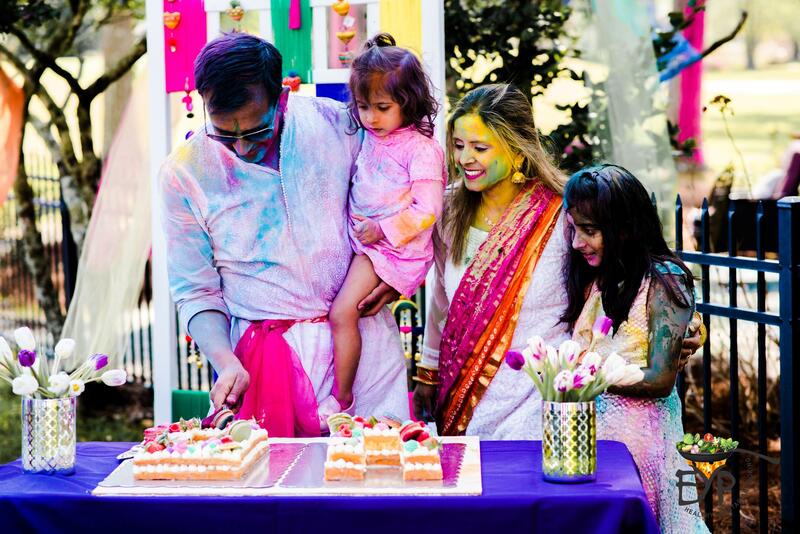 I want to encourage you to do your own Holi party, share your culture with your friends and at the same time share these traditions with your children to help them learn our culture. 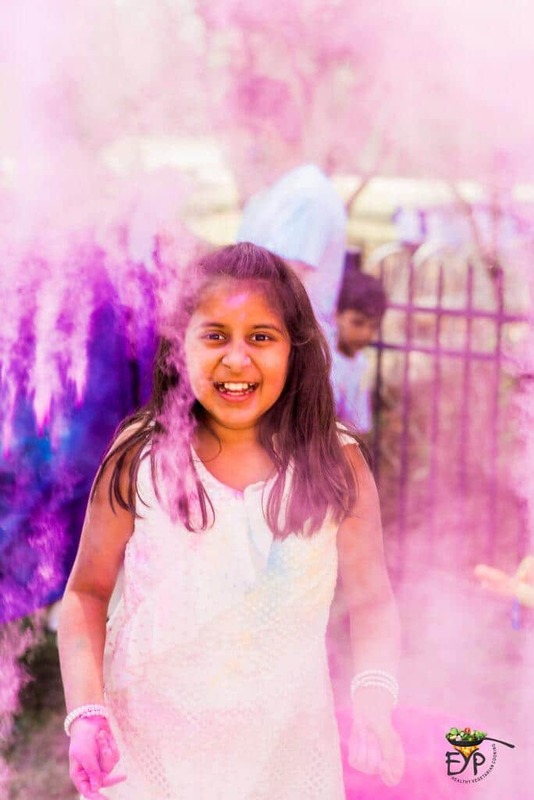 Holi is a popular ancient Hindu festival that signifies the arrival of spring, the end of winter and for others the beginning of a good spring harvest season. 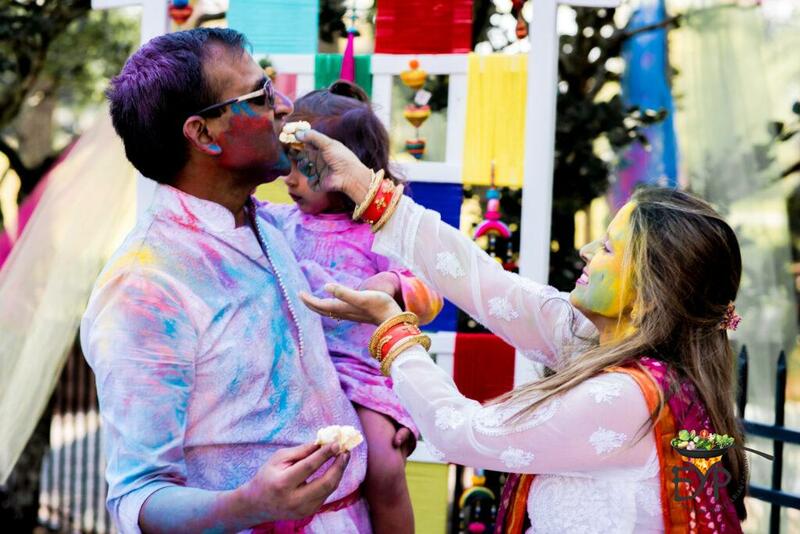 Holi is also known as the ‘festival of colors’, ‘festival of spring’, and festival of love. 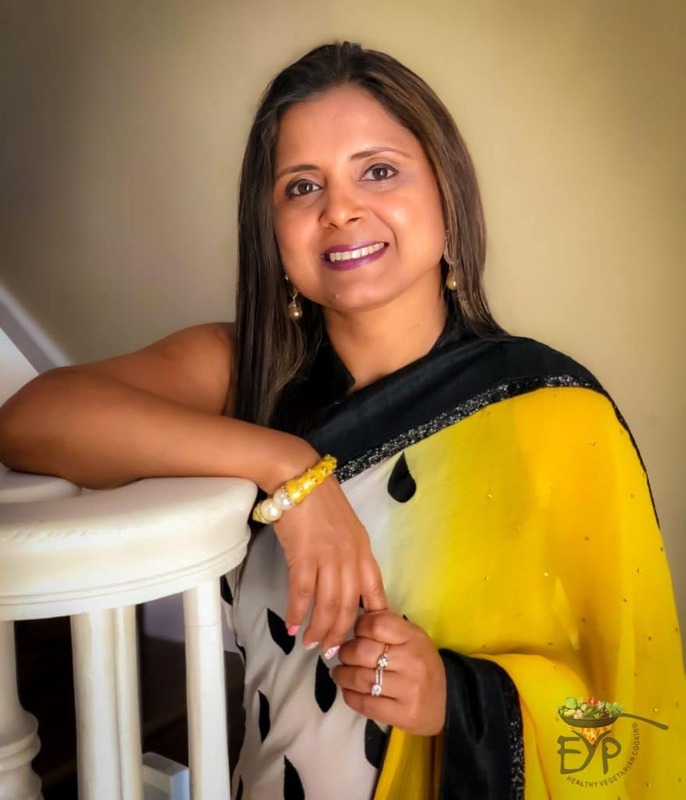 It is celebrated primarily in Indian subcontinent, but is now also celebrated globally throughout the diaspora from the Indian subcontinent. 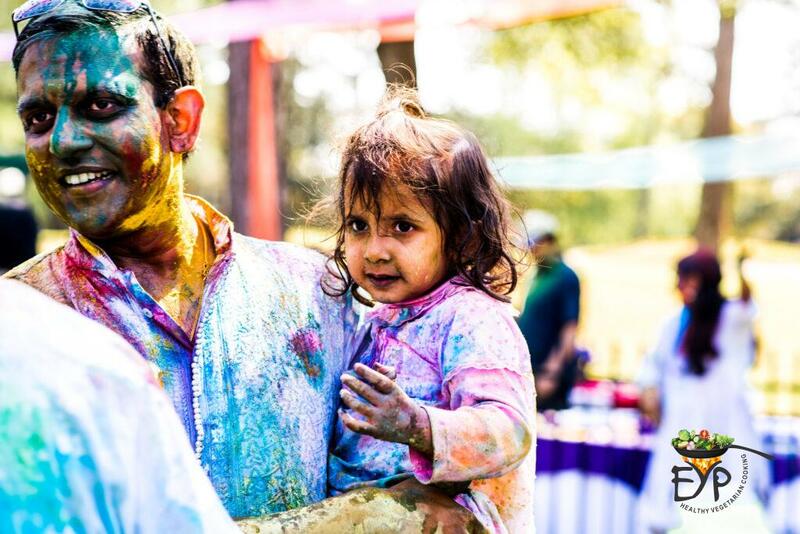 Holi is celebrated over the course of two days. The first evening, all the people in a community get together to burn a large bonfire and perform some prayer rituals around it. This is known as Holika-Dahan (burning of demon Holika) or Chhoti Holi. This originated based on the ancient story of the emperor Hiranyakashyap and his son Prahlad who was a Vishnu devotee. 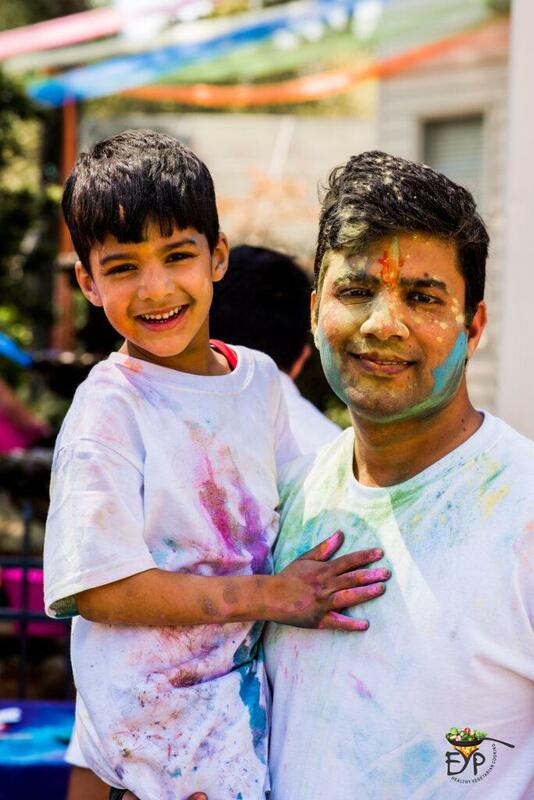 Hiranayakashyap tried to kill his son in a bonfire with his sisters’ Holika, assistance. Who had a robe with special powers to save her. As good always wins, Prahlad walked out of the fire unharmed and Holika was burned to death. The day following the bonfire evening is known as Holi, Rang-wali Holi, Dhuleti, Dhulandi, or Phagwah. This originated from the land of Lord Krishna, where on this day he colored Radha and her friends with color to make them look like him. Since then, Braj-Bhumi (the land of lord Krishna) has been a very popular destination for grand Holi celebrations. 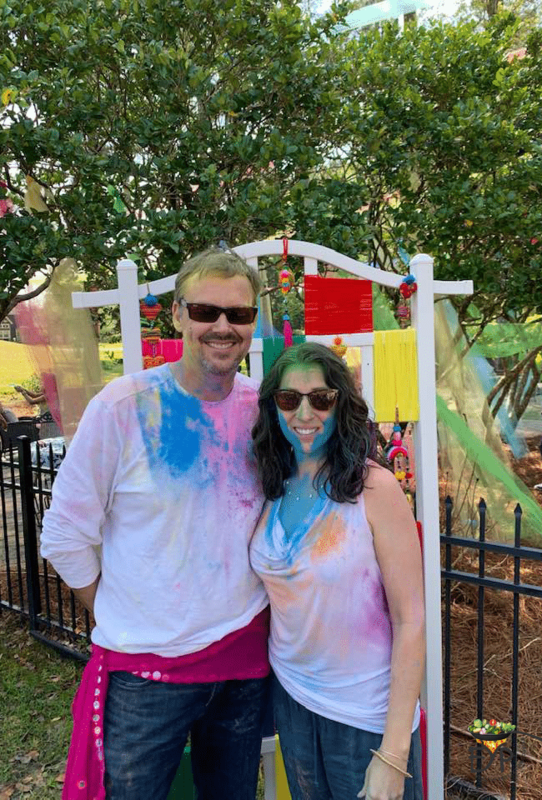 We have missed a good Holi celebration for several years and coincidentally this year Dr. A’s 40th birthday was very close to Holi. Hence, this year I decided to celebrate his birthday with a holy bash in Bollywood style. 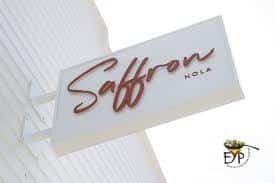 Here, I will share details of our decoration, food menu, colors and all the other fun arrangements I did. Everybody, including my family, thoroughly enjoyed the event! 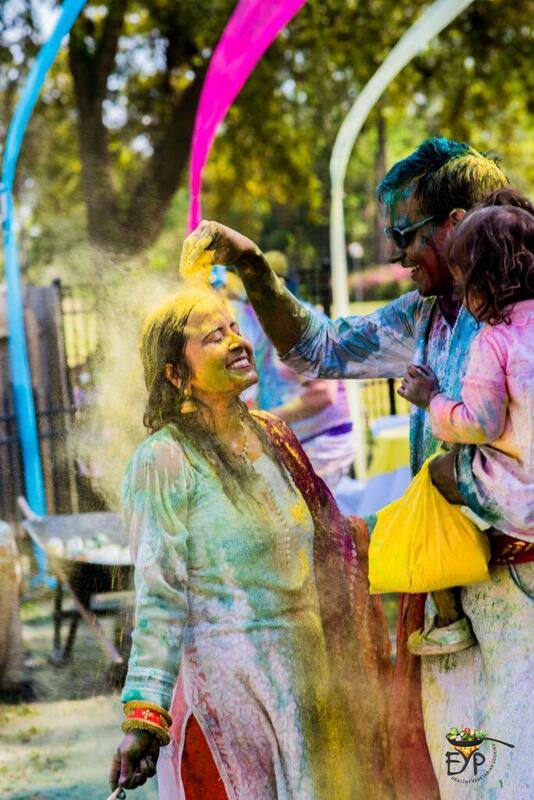 Holi, becomes complete with a rainbow of colors and often enjoyed with water. 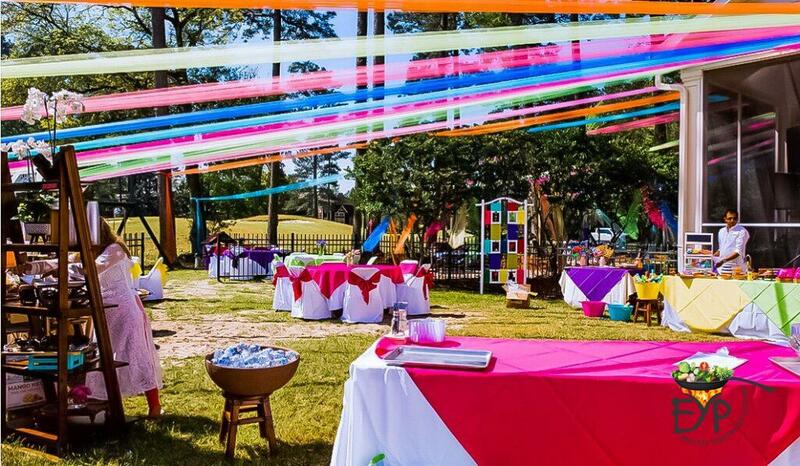 It is best suited as an outdoor event as colors are going to be everywhere. We are fortunate to have a big enough backyard overlooking to a golf course, it was an easy choice for me. 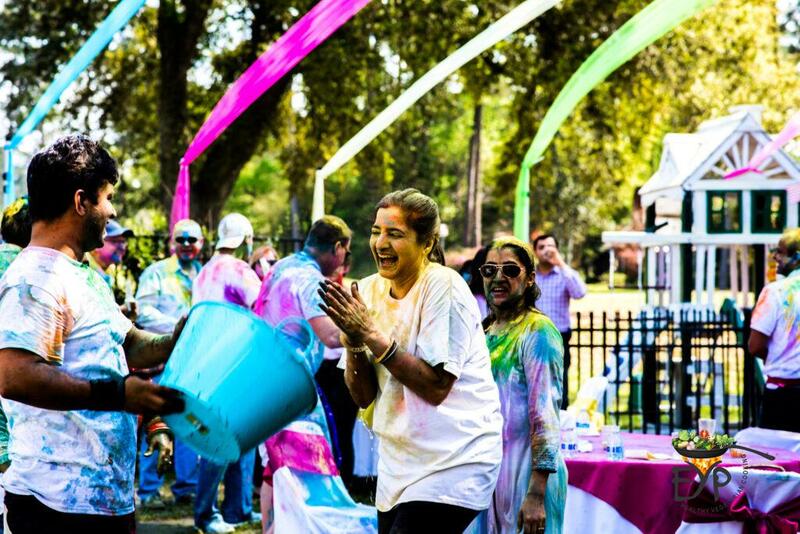 However, you can arrange Holi in picnic shelters or other open areas, where you have access to bathrooms and clean water. 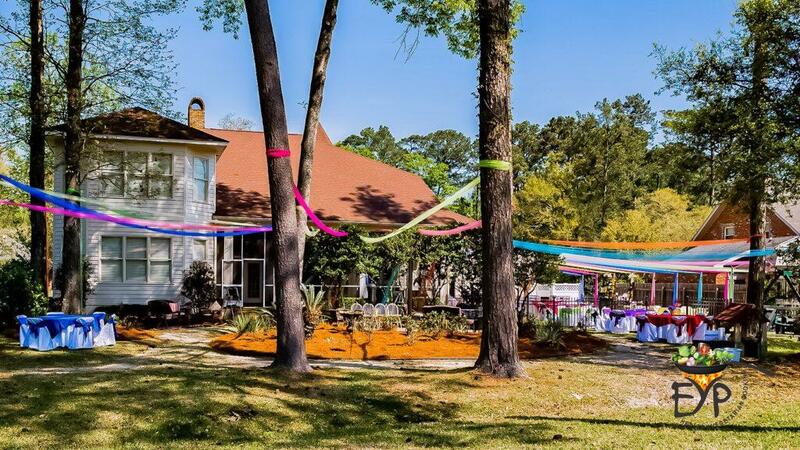 Outdoor venues obviously also allow everyone to enjoy the nice spring weather. You can choose any form of invitation, you wish. I used an Evite invitation to be able to keep tabs on our guest list. 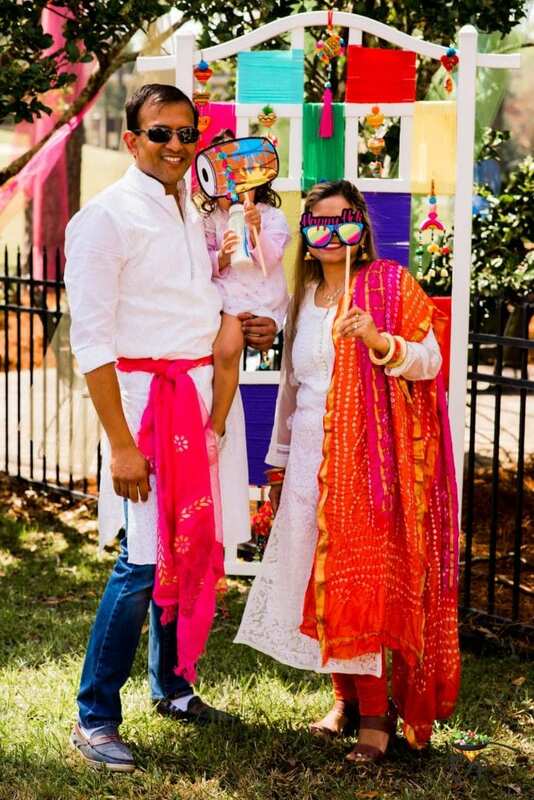 If you are inviting your local or work friends who have not celebrated Holi before, be sure to include some tips or instruction as an attachment to your invitation. For example, I requested all our guests to wear their favorite white ensembles that could be disposed off, if needed. I also advised them to do some internet research on Holi, bring some towels and covers for car seats for their drive back home. 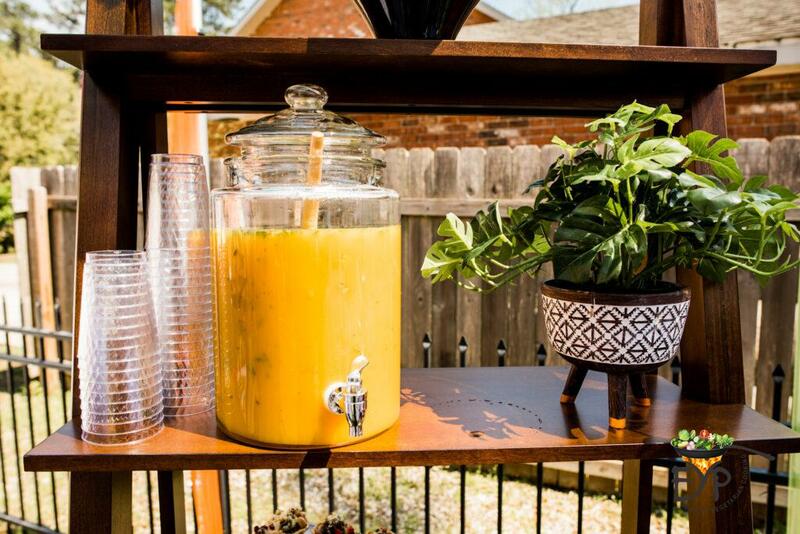 You want the guest to come prepared to have fun. 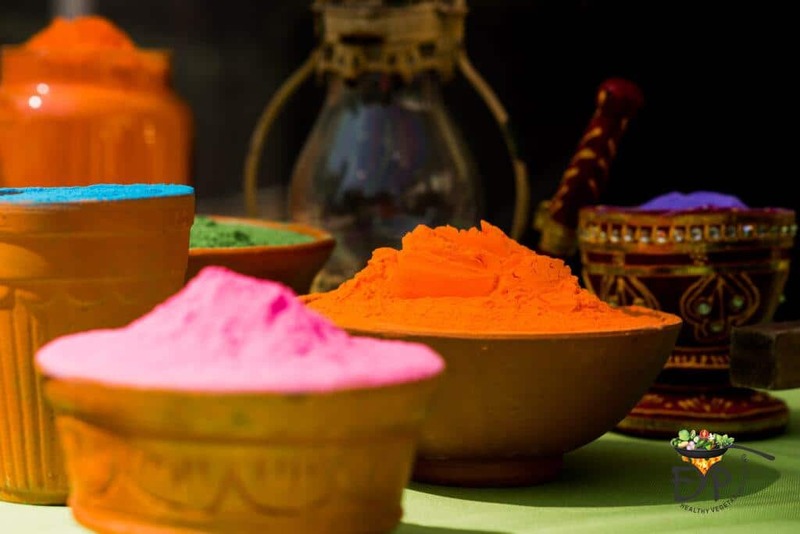 I wanted the ambiance to be very colorful in line with the Holi theme of the ‘festival of colors.’ At the same time, an open venue is needed for large gathering. One simple option that I used tulle fabric, of various colors. 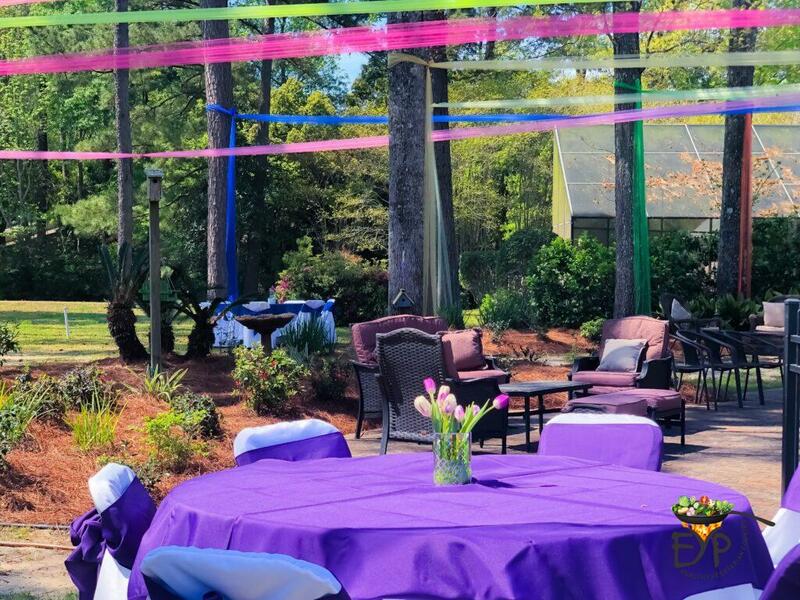 As you can see in the picture below, these fabrics coupled with carefully selected table/chair covers of various colors created a very nice and attractive venue, alive with bright colors. I bought 40-yard rolls of tulle fabric bolts of different colors from Amazon. Dr. A was able to staple one end of the fabric to the house on wood siding. The other end of the fabric was tied to either poles or trees. Before cutting, left some extra length to run to the bottom of the pole or tree. Do not tie these up too high or too tight. You want some slack in them, so that guests would be able to see them easily. This did take some time to do. 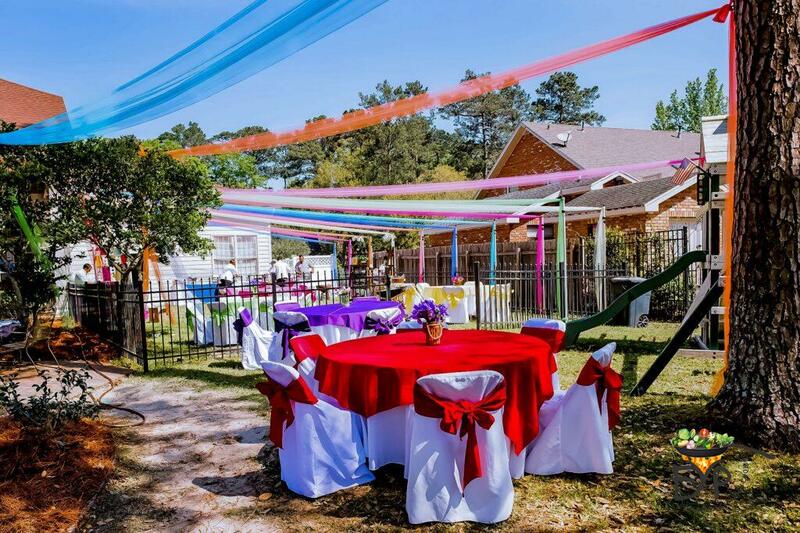 I rented white linen with colored overlay for tables and for chairs, white covers with matching color ties. 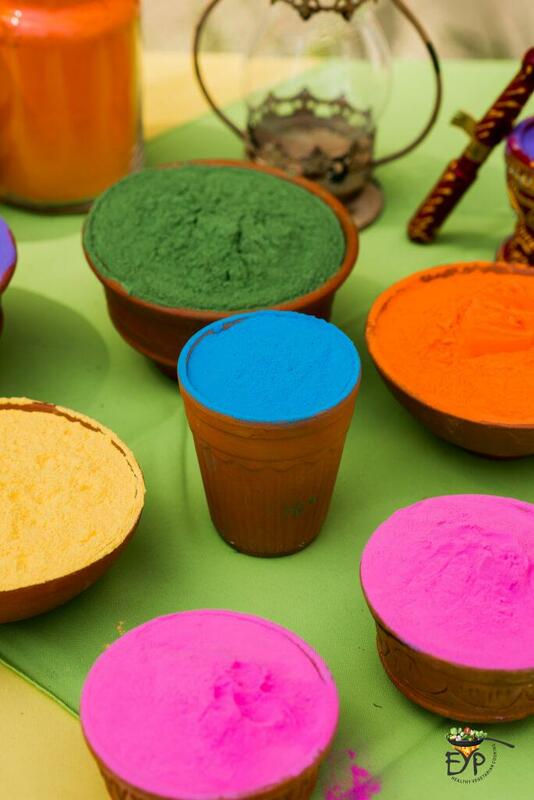 Make sure to select bright colors to go with the overall Holi theme. 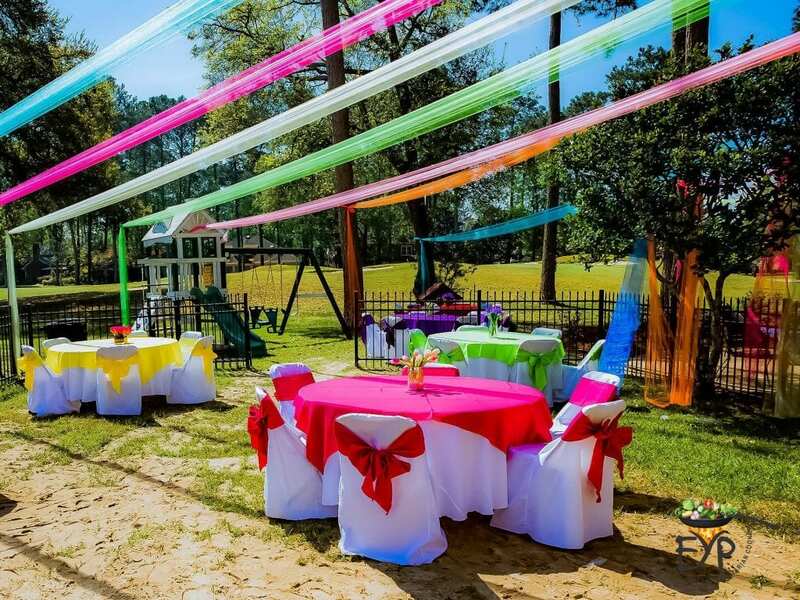 The tulle fabric decorations, combined with the colorful table overlays and chair ties, created a very welcoming atmosphere. Last, but one of the most important components of creating ambiance is music. I hired a DJ with great skill in Indian Bollywood music and some knowledge of the western world popular songs. A good DJ plays a critical role in building the overall excitement and get people moving. 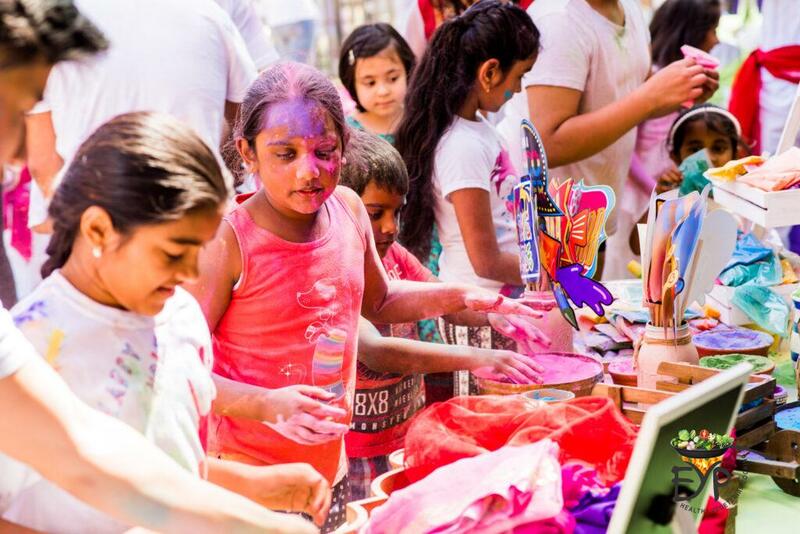 Dance and music is an essential part of any Holi celebration. 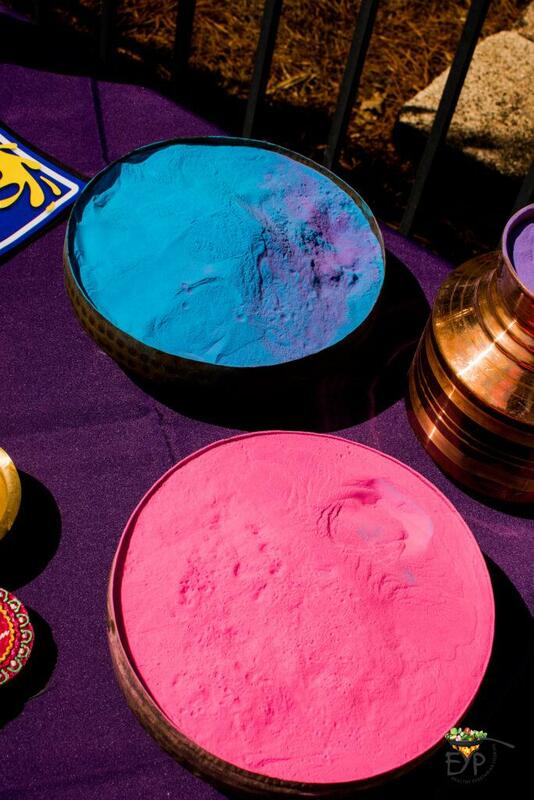 Holi colors are an essential and most important part of any Holi festival celebration. 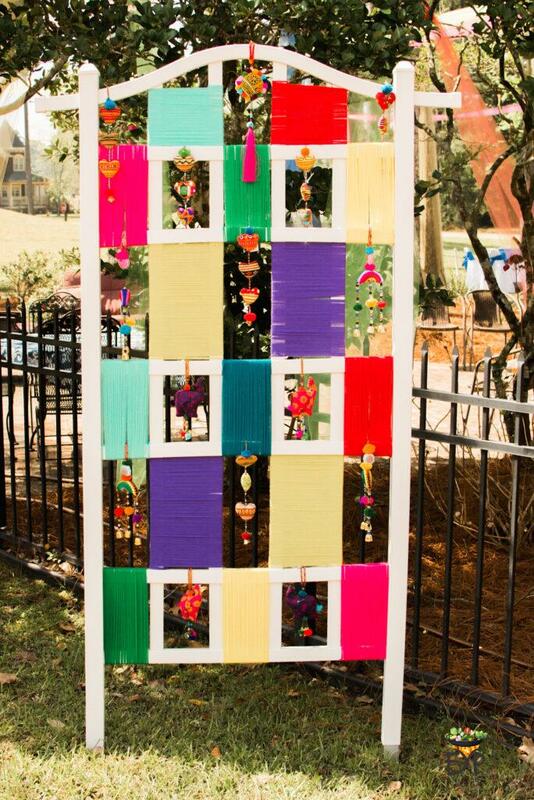 Hence, my first step in planning this event was to figure out where to arrange the good quality colors from. My conclusion was that Amazon offers by far the best selection of Holi colors. 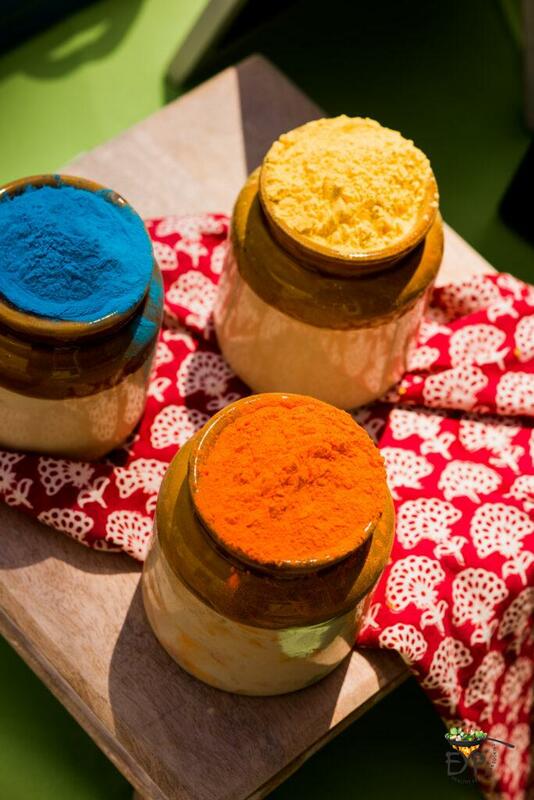 You can go from regular every day to all organic colors made with natural pigments. It was easy to find colors manufactured in USA with safe and non-toxic ingredients. Large number of choices of colors made from 100% FD&C and D&C approved dyes and cornstarch are available in different sized packages. Amazon has all sorts of packing available. Individual sized 100 gm small packs to bulk 5, 10 or 25 lb bulk packs. Buy the best quality and highest grade colors, to minimize the risk of any harmful effects and adulterants. I wanted everyone to have fun with colors and I made sure that I have plenty of them. 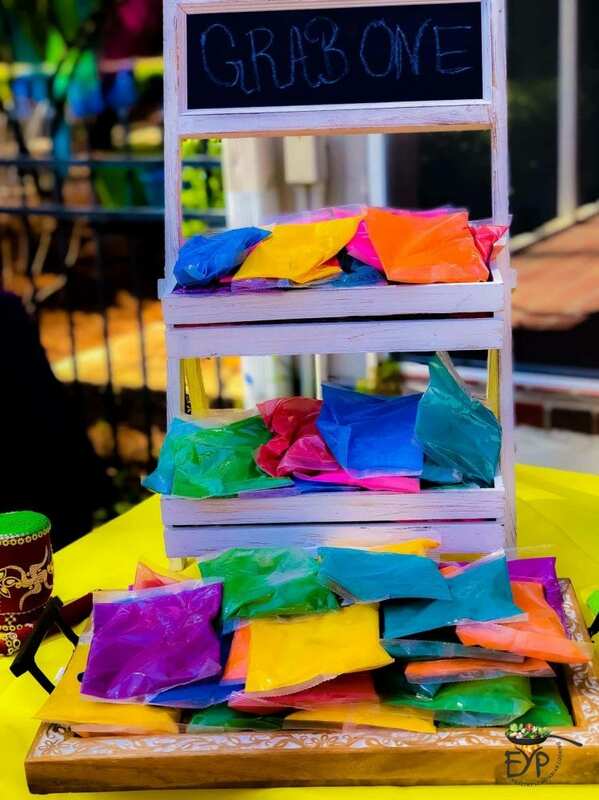 I ordered sufficient 5 lb bags of colors and assorted individual color packets for people to be able to carry colors while playing Holi. 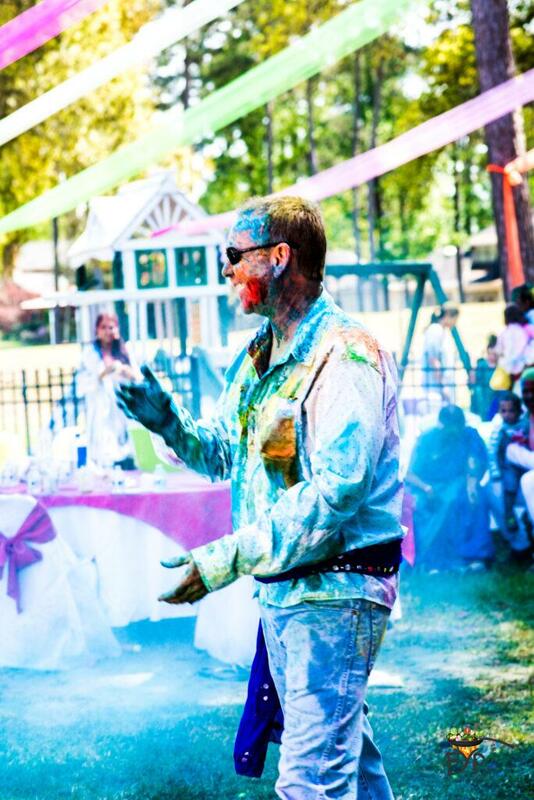 Abundance of colors, really made the whole event fun. 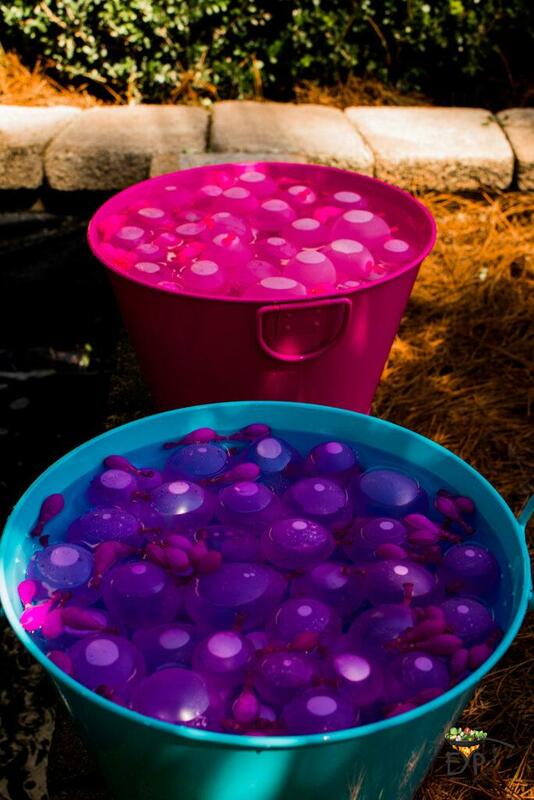 In addition to the colors, I ordered a large number of self-sealing bulk-fill water balloons and water blasters/guns. I did not use any water based colors or hard colors. 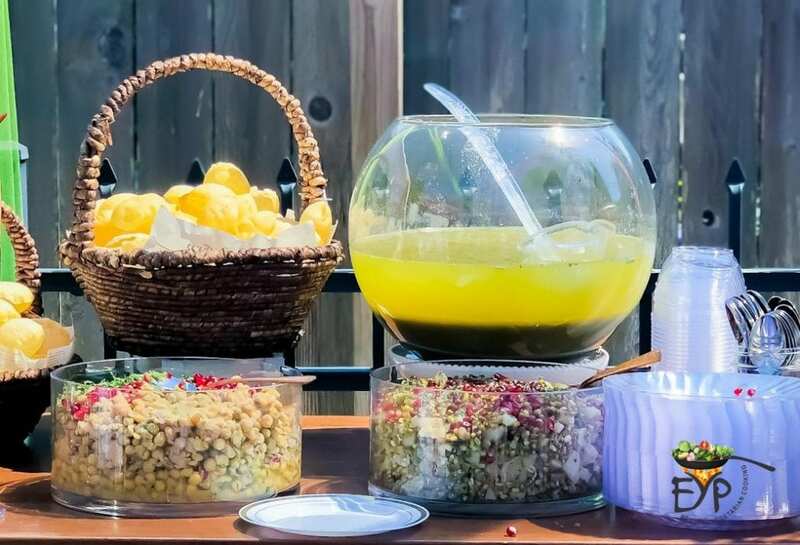 In order to get the children and guests involved as soon as they entered the venue, I set all the colors and party favors on a ‘Welcome’ table in a beautiful and inviting manner. 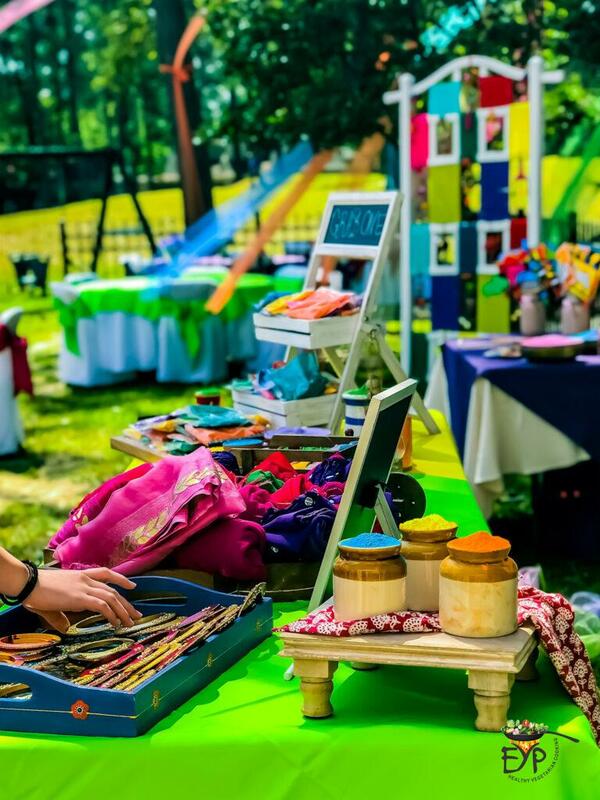 So, as soon as guests arrive, they can have their party favors to wear during the event and enjoy. Coincidentally, I was in India few months ago. 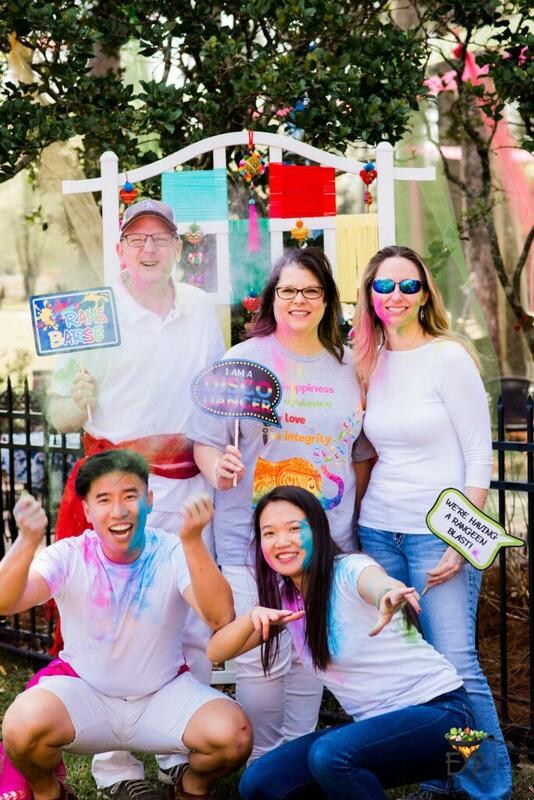 At that time, I already had in mind to do some sort of event for Dr. A’s 40th birthday, but had not decided on the Holi theme yet. I did know that A’s coworkers would join who are all very excited about our culture. 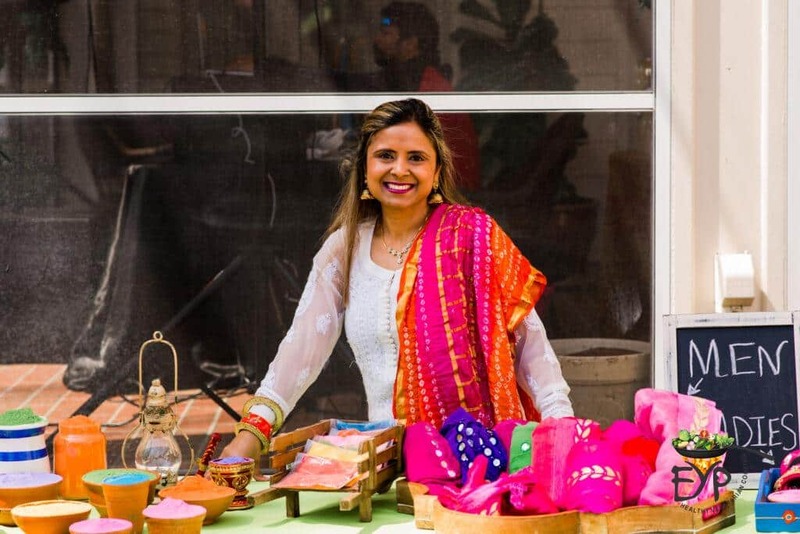 So, for men’s I brought some vibrant colored scarves to tie around their waist and for ladies a pair of Rajasthani lakh bangles. People outside India, really like Indian bangles and hence I thought it would be a great addition to this celebration. 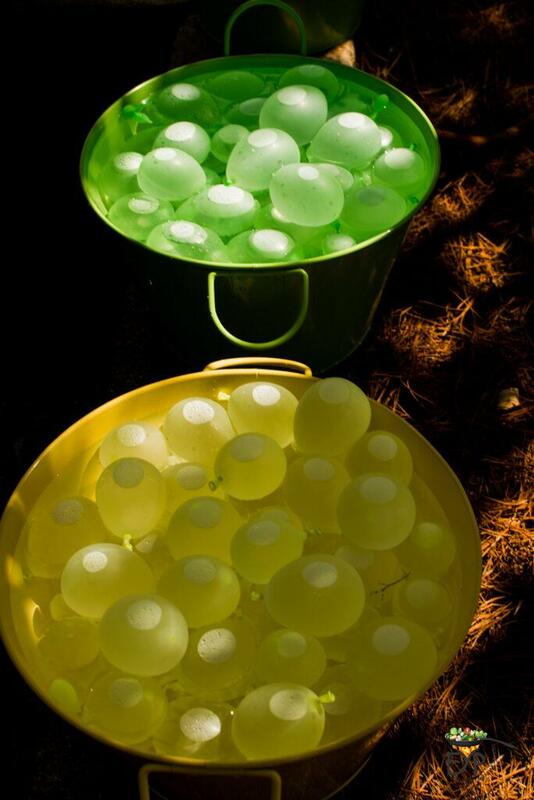 For kids, I got water guns to them to play and then take with them as a party favor. 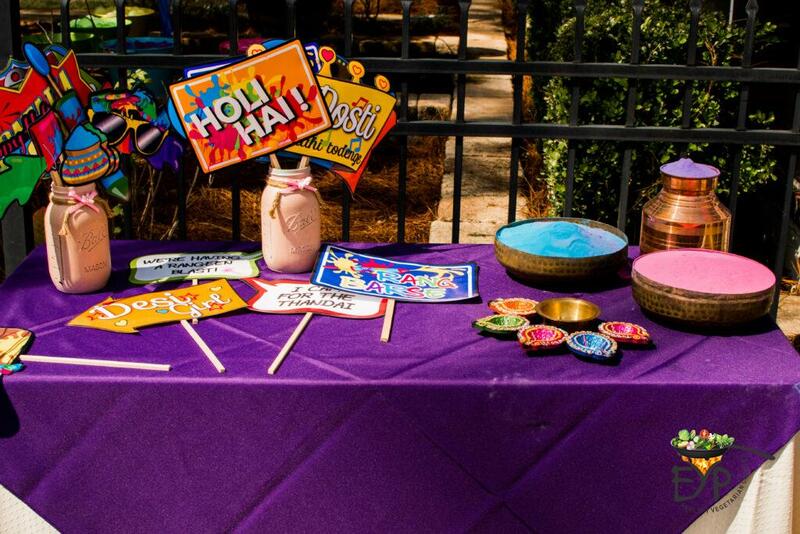 While I was decorating and arranging the welcome table, I chose to make it colorful and catchy with Indian flair. So, I just grabbed some props from my studio and arrange them on the table to fill with colors. You can also arrange these in your own way, depending on what you have available. 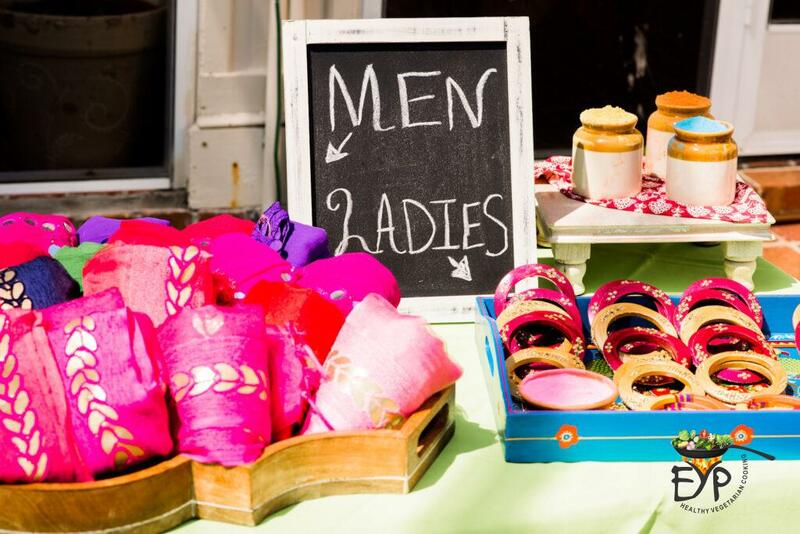 Overall, the ‘Welcome’ table had scarves for men, bangles for ladies, and bulk colors in different size/type containers for everyone to enjoy with. Everyone had the time of their lives without the slightest worries in their mind. 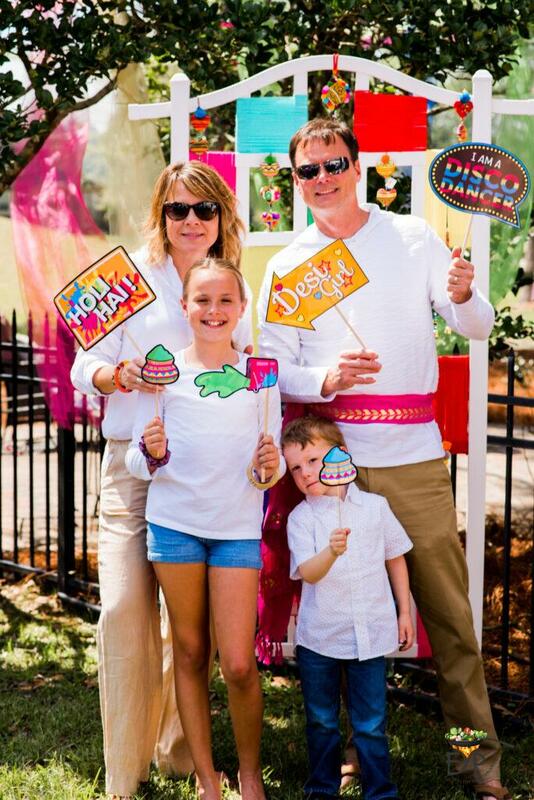 People love to take pictures to capture their memories and hence photo booths are a great addition to any event regardless to the occasion. 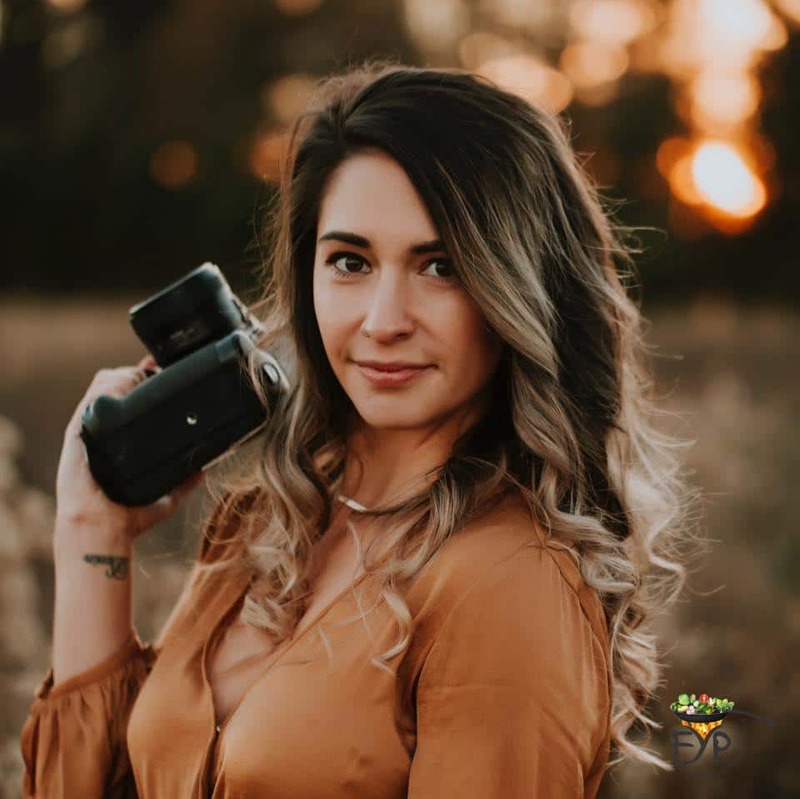 It adds a different dimension to any event by providing a space to come together and take pictures with your friends and family in a setting that is not typical to studios or natural scenery. Initially, I was planning to make my own photo props with images and text, but while searching the web I came across some beautiful pictures. Further research on those pictures lead me to an Etsy shop that sold those digital design for printing at home. 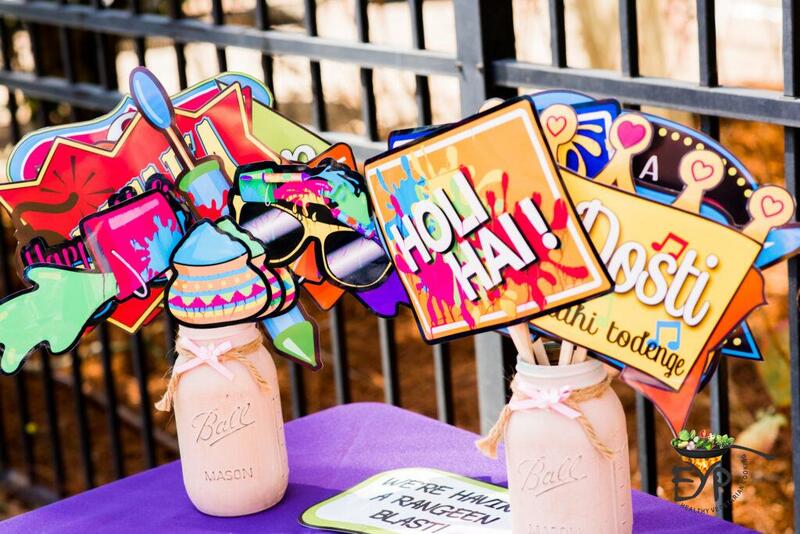 I bought two packages to print at home, one was Holi props and one was Bollywood props. I got the sticks from the Michael’s store, and used hot glue to glued on props. You can also get them from any other local crafts store. The photo props were arranged on a separate table near the photo backdrop. 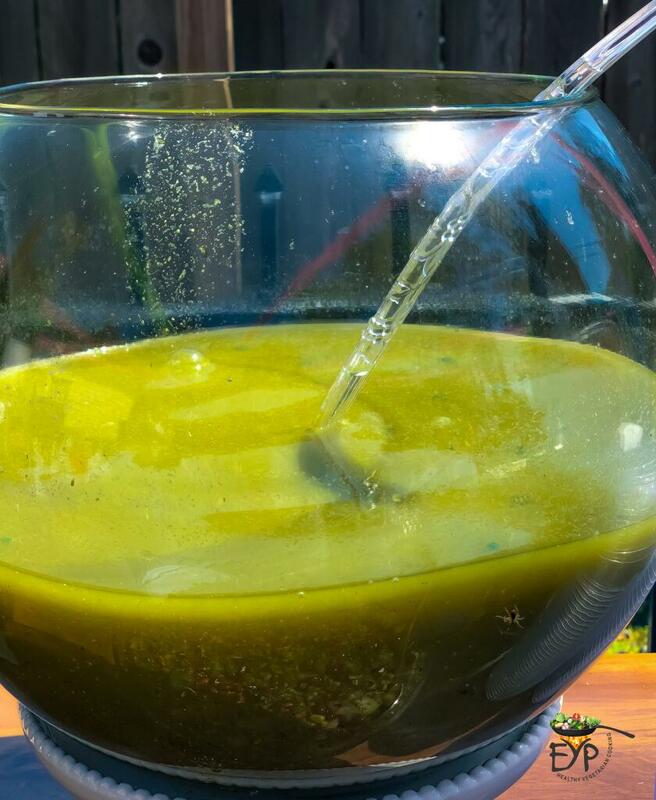 Put some on the table, some in vases and mix it with colors. Get creative! For photo backdrop, I was first thinking on making this structure from scratch with wood. But to reduce my work, I started looking for similar structures in the market. My search led me to this trellis, that is typically used to support plants. These are available in all different sizes and styles. It took me some time to find the right piece for my need. I was looking for a square grid and a tall enough structure to make it as a backdrop. I was lucky to find the one shown in the pictures below, that I bought from Amazon after searching several other sources. To make the backdrop colorful, I wrapped alternate grid space with different colored yarn. Be aware that this took much more time then I anticipated as it was important to get a tight and uniform coverage with yarn. You can get the yarn from any art and craft store. After wrapping the yarn, I hung the ensembles I got from India in the alternate spaces. These you can change based on the theme of your event. Now, lets get to some real fun! 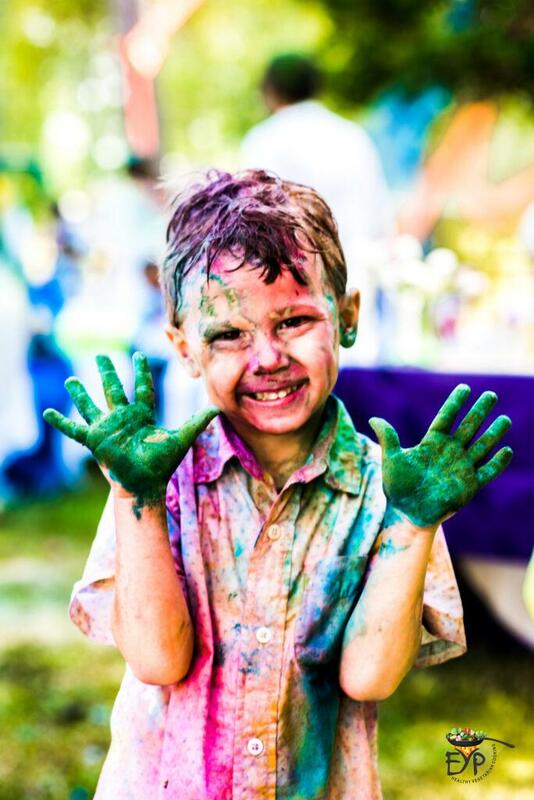 Lets play Holi! Once it gets started, there is no stopping. 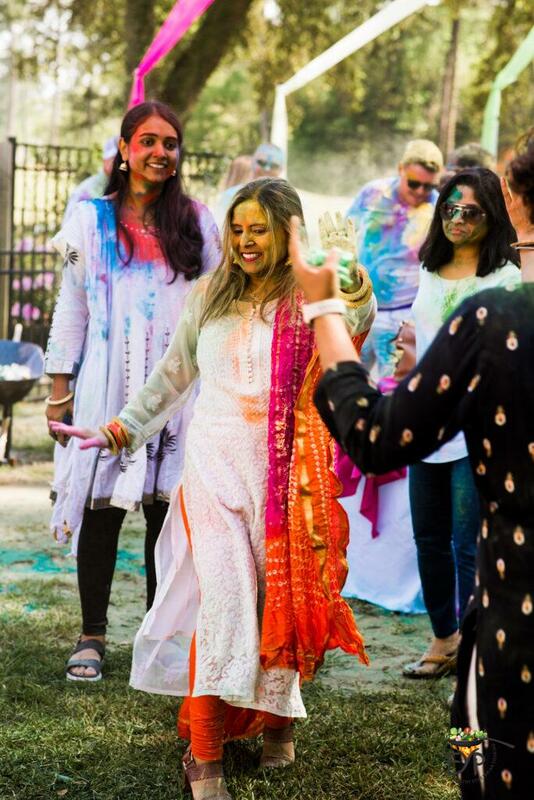 Lot of our guests were playing Holi for the first time and it was fun to see them all embrace the culture and color with great enthusiasm. You could tell by the smiles on people’s faces that they were having a great time. Some took it to the next level with water play. Don’t mind, it’s Holi! 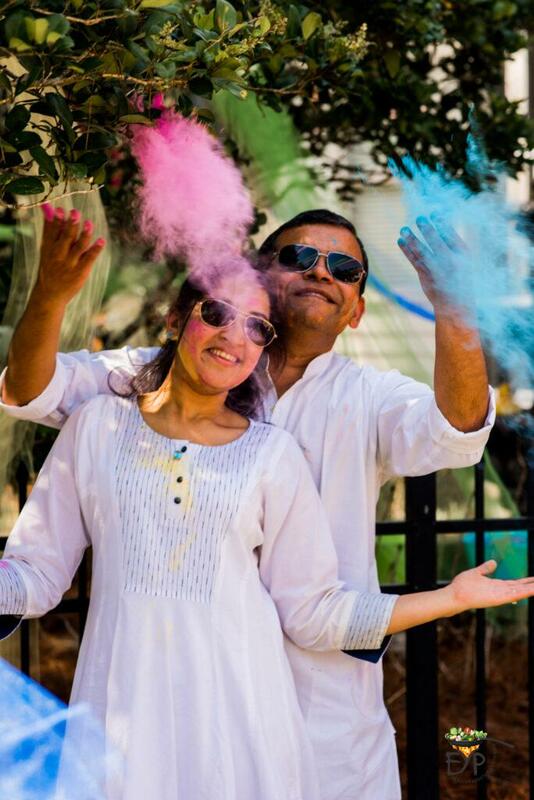 With colors in the air, people become indistinguishable and forget about all their worries. 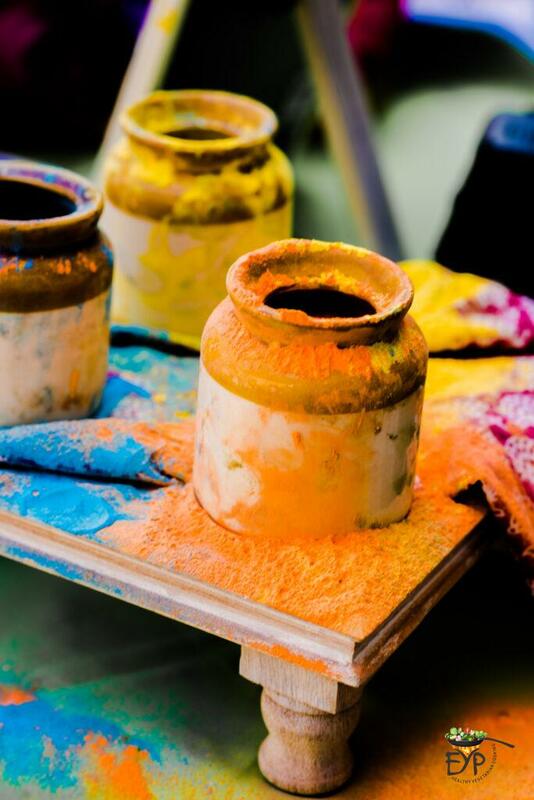 They tend to immerse themselves in the moment and had fun with colors of life. 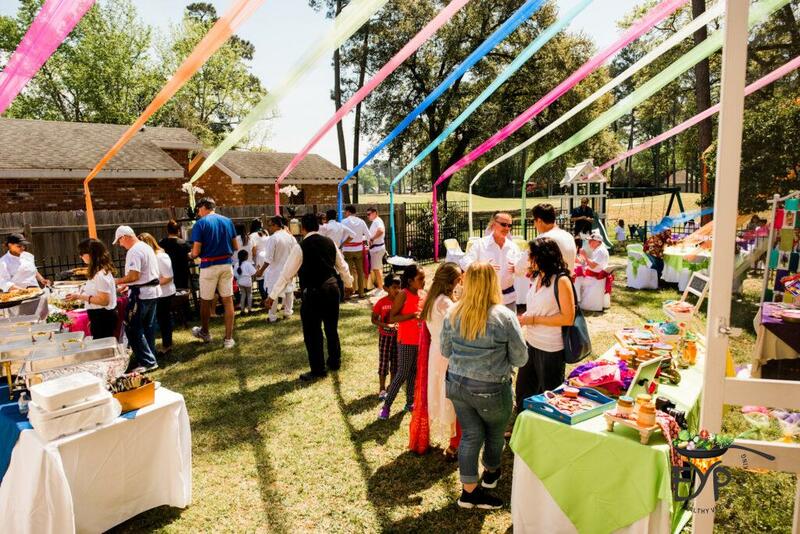 For children, this is a dream party. They get to create all the mess and get dirty with no restrictions. All the fun obviously makes people hungry. Usually, I would try to prepare all the food for the event myself, but this time I went with a caterer for multiple reasons. Four weeks into the event we all got sick, so I could not do any preparation. Three weeks into the event, kids were off from school for Mardi-Gras break and when kids are home it is impossible to get anything done. So, I analyzed my situation again when I was two weeks into the event. I needed one week to do preparations for the main course menu items, one week for appetizers and one week for desserts and cakes. But, I had only two weeks in my hand, with all the decorations still pending to do. Hence, I decided to go with the caterers. I could have still pulled it off though, if I had some help at home to take care of kids in evenings after the school. Unfortunately, instead of help, Dr. A was also travelling for work those weeks. 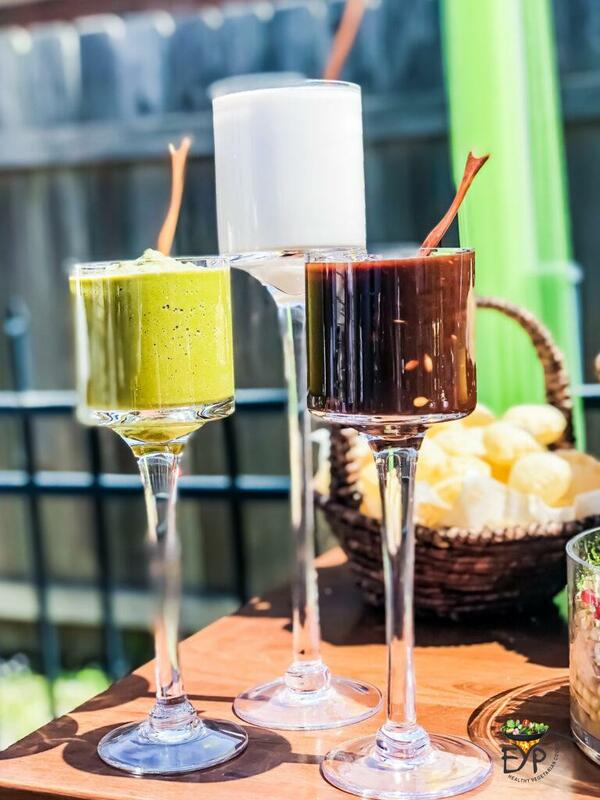 However, I did make some appetizers drinks and dessert to spice it up a little bit. The picture above shows the separate display I used to serve those appetizers and drinks. 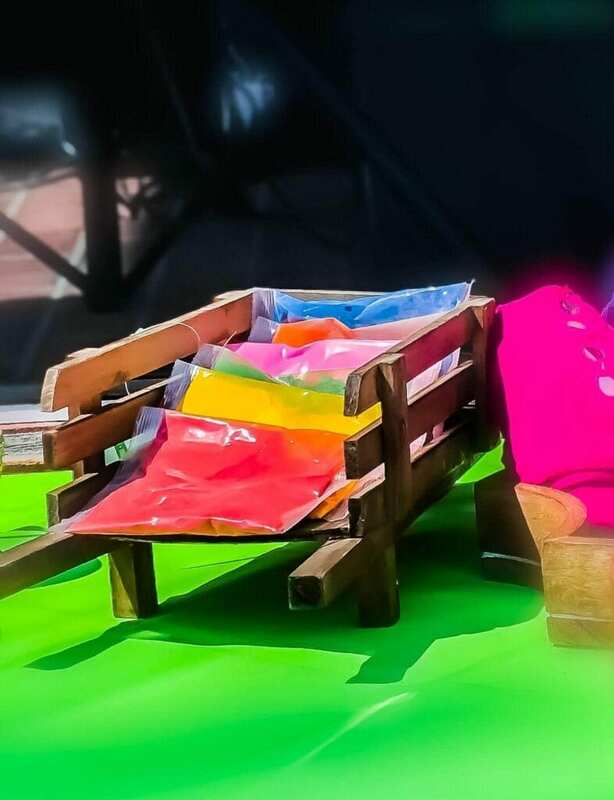 There are some staple menu items that go along with the Holi festival. 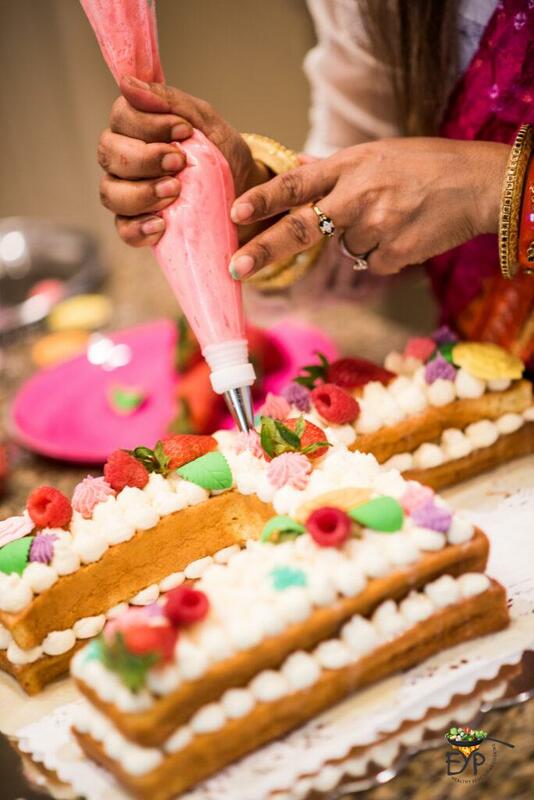 For example, drinks like Thandai and Kanji are integral part of this celebration. 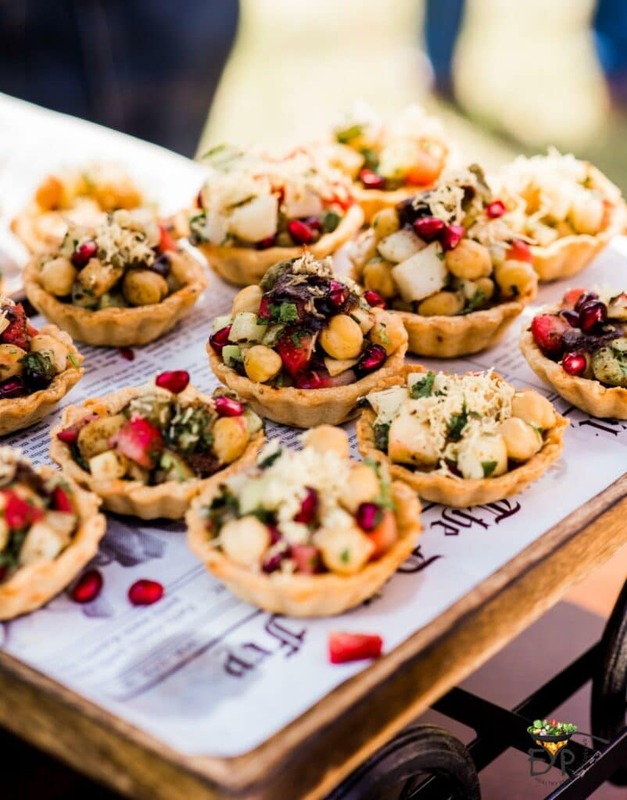 Indian street food or chaat are also very popular in all events back home. 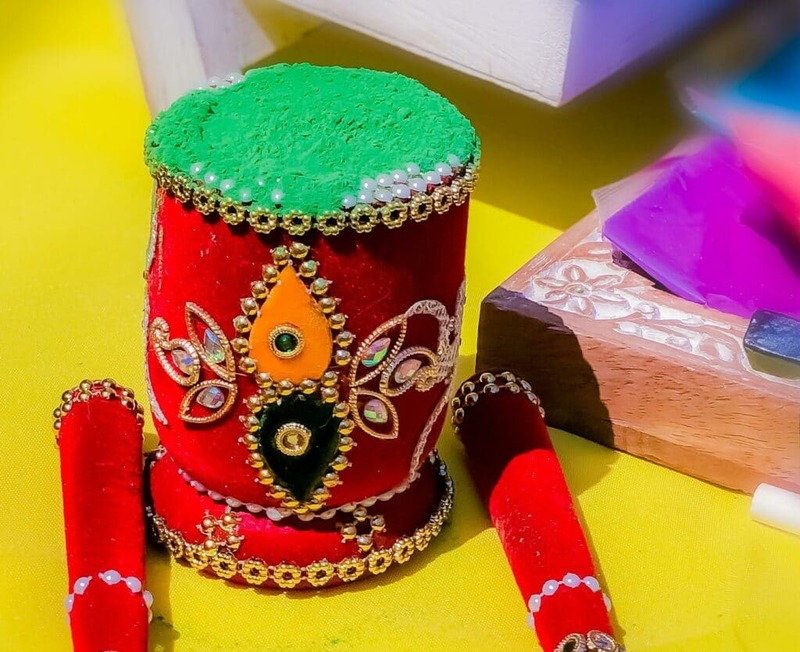 I wanted to offer these in my Holi party also to create a true Indian cultural experience. These are items that are hard to find on Indian restaurant menus. To set up my display, I used the ladder bookshelves along with an island table, I bought few years back. 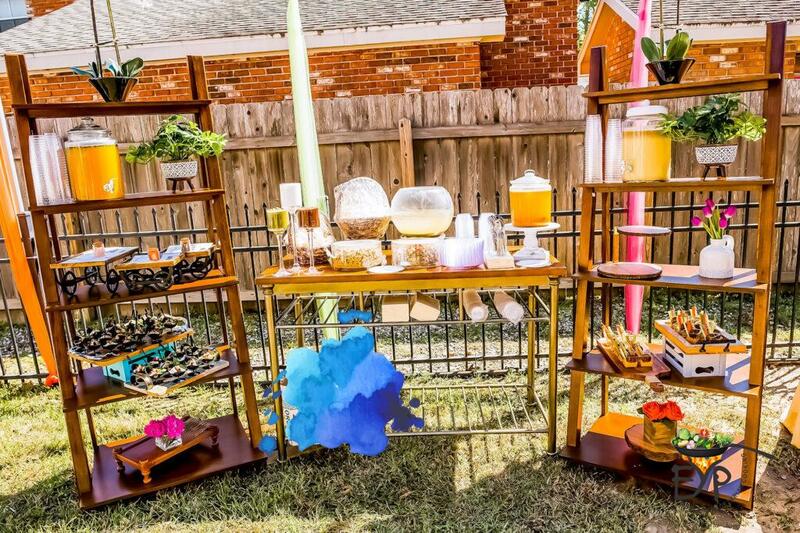 You can find several examples of ladder food displays on Pinterest, including those you can make yourself at home. Dr. A is usually very handy and supportive in making such things, but since he was traveling and busy on work front, I just bought these from Costco. I needed these anyway for my home. 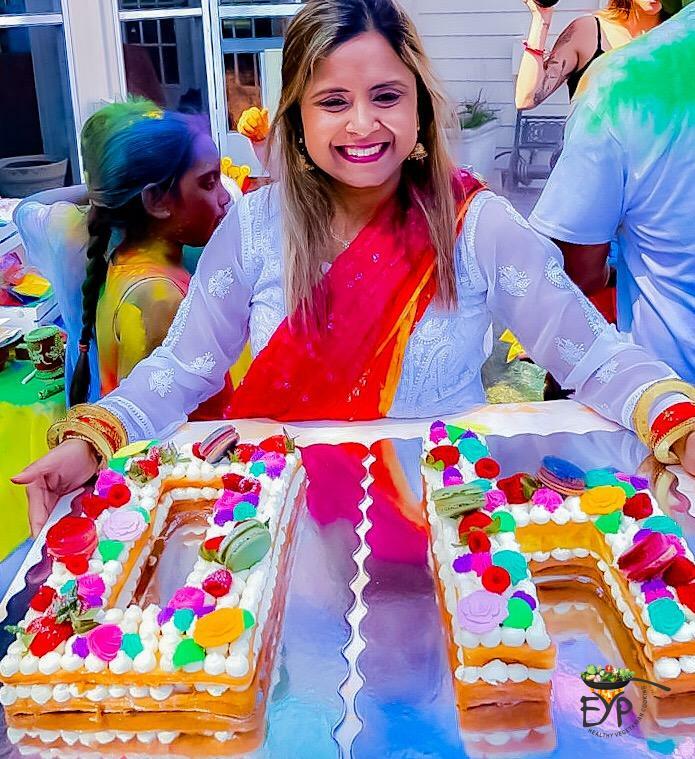 Holi celebration is incomplete without Thandai and Kanji, which are the essential part of the ancient tradition that goes with this festival. However, both of these drinks have strong flavors which may not be preferred by all children. 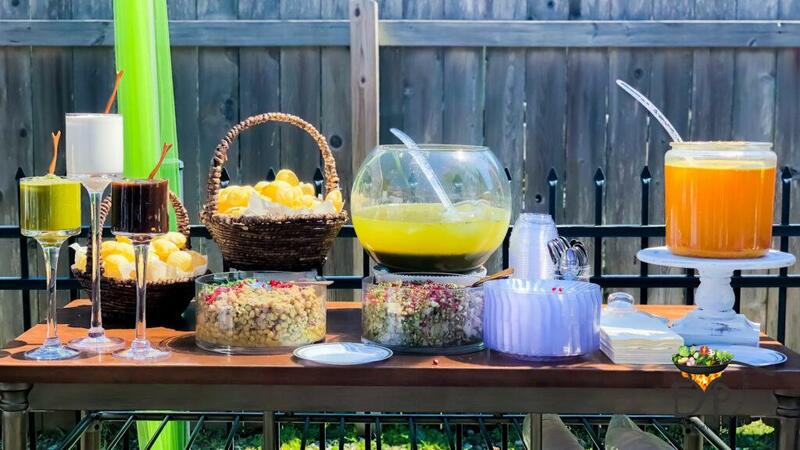 Hence, I also added mango punch to the menu, which kids would enjoy for sure. At the end, I served three homemade drinks. 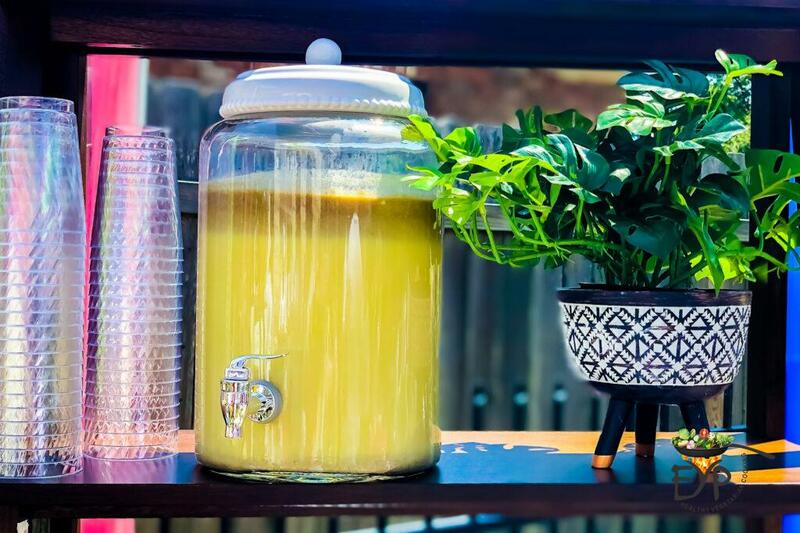 In Indian tradition, Thandai is served with Bhang (cannabis), but I served without it. Instead, I offered standard beer and wine selection for adults to enjoy. Kanji is a pro-biotic drink, which is popular during this season. My aim was for guest to be exposed to Indian street food as much as possible. So I ended up having seven appetizers: Pani-puri, Mathri katori chaat, Dahi-vade, Aloo-tikki , Pav-bhaji, Corn-chaat and Falafel-hummus. Out of these, Aloo-tiki, Pav-bhaji and Corn-chaat were prepared and served by the caterer. 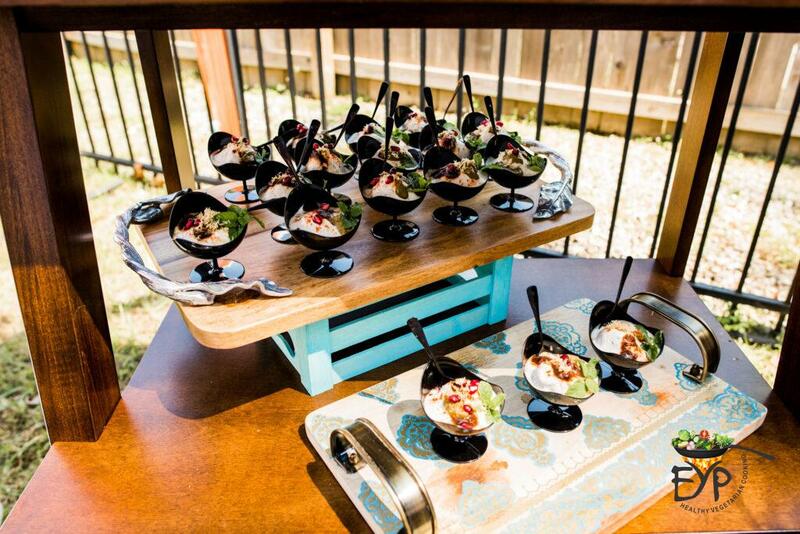 I prepared the rest in individual portions, so that guests don’t have any confusion on how to serve or assemble to eat. Pani-puri, also known as gol-gappe or puchka, is my daughter’s favorite. This is one item that both kids and adults enjoy equally. Best part is that while assembling you can make it spicy or sweet depending on your palate. For the filling, I offered two options. One was a green dry-peas filling and other was sprouted moong bean filling. In different regions of India, different fillings are popular. Some enjoy with potato fillings, while others like the sprouted beans. 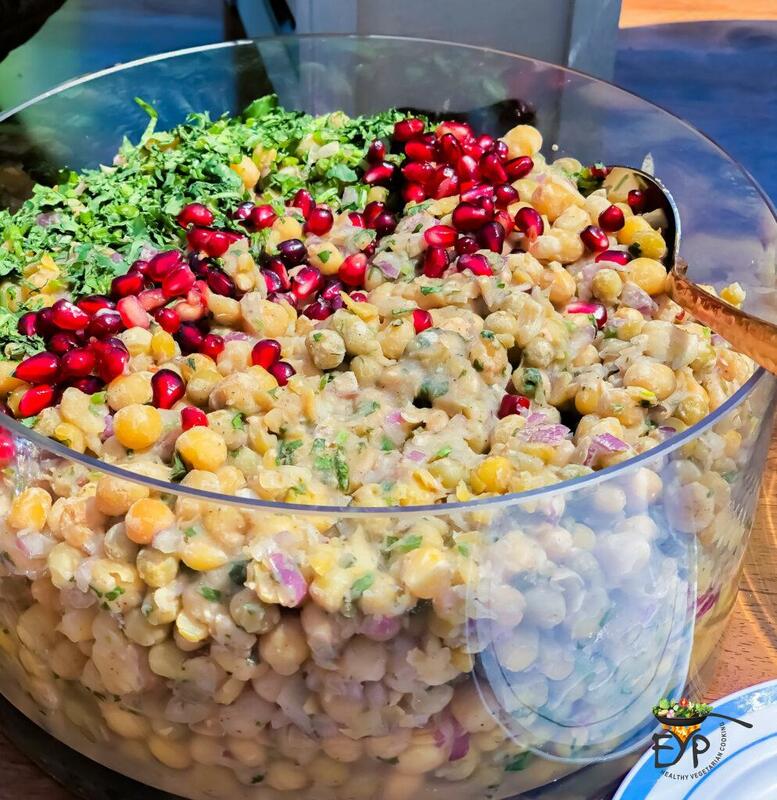 During my college years, when I was studying in Pune, Maharashtra, I experienced having a warm dry-peas filling in pani-puri, which was a totally new concept for me at that time. There are many ways to spice up the pani-puri’s paani (spicy water). Some like it sweet, some like it tangy, and others like it really spicy. Since a large percentage of my guests were experiencing this for the very first time, I kept the spices in water very subtle. For those used to Indian spicy flavors, I provided spicy green chutney and sweet chutney to adjust the taste as per their palate. My pani-puri paani (spicy water) was flavored with the raw mango, mint, cilantro and hing (asafetida). 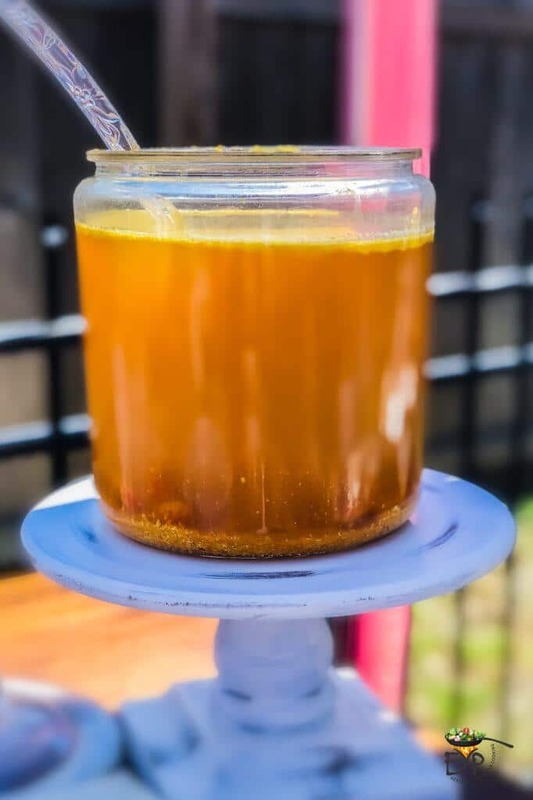 The paste you need to make this paani (spicy water) can be frozen for later use, like I do to fulfill my daughters often requests for her favorite snack. 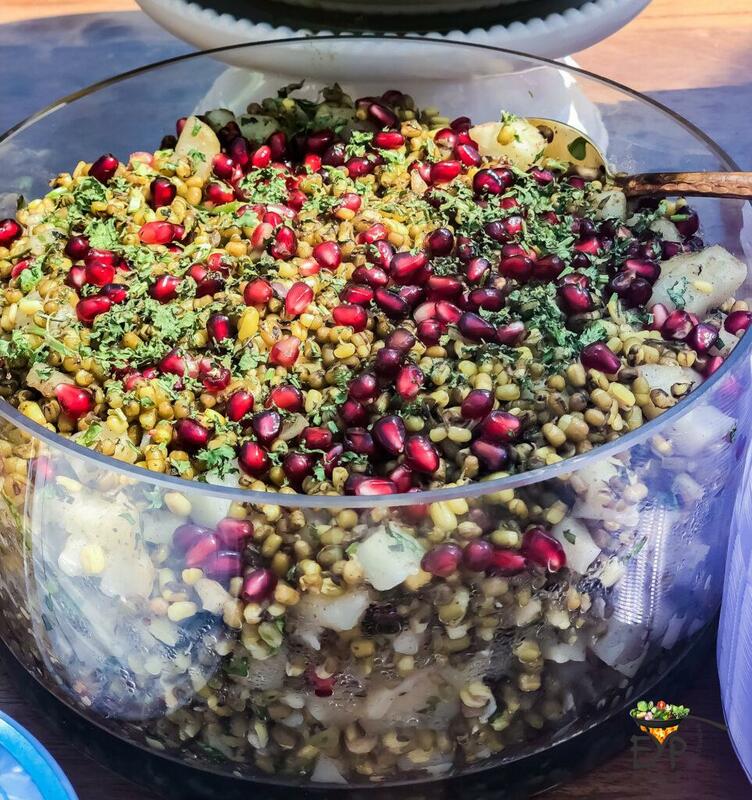 Baked Mathri Katori Chaat is a great make-ahead appetizer and most shared recipe of my blog. Hence, I wanted to showcase it at this event as well. 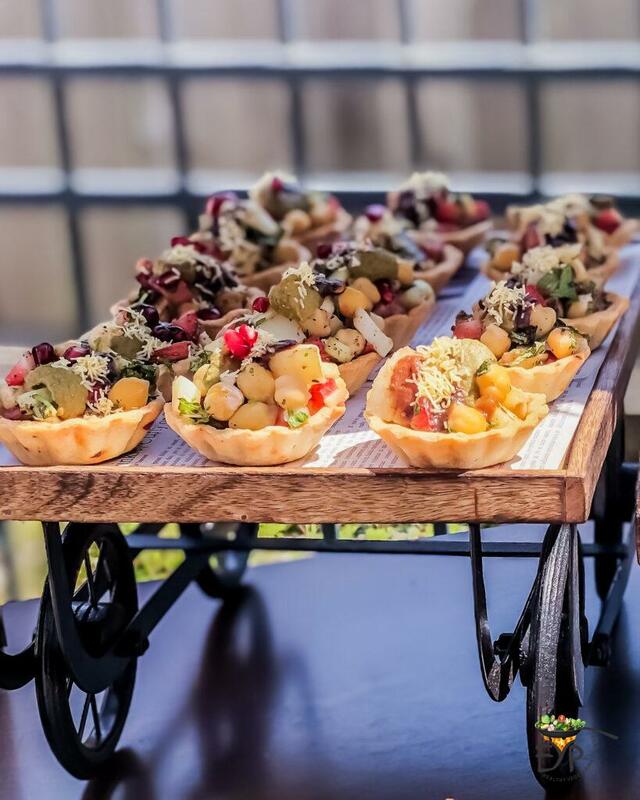 You’ll notice that I have used mini thela (street carts) platters to serve these. These thelas (mini street carts) were great conversation starters to explain how street food is carried and served on Indian city streets on these carts. You can get the recipe on my blog and try it yourselves. Dahi-vada, another essential part of Holi celebration, is supposed to melt in your mouth. These low fat dahi-vade are made with soaked lentil batter, made in cast iron takoyaaki pan aka Indian Appe pan. 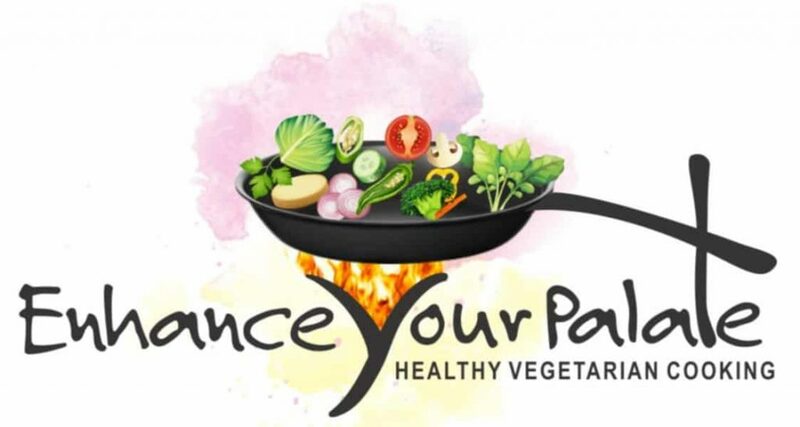 Take a look at EYP recipes to learn all about it. I found these really beautiful perfect scallop stem cups on Amazon. 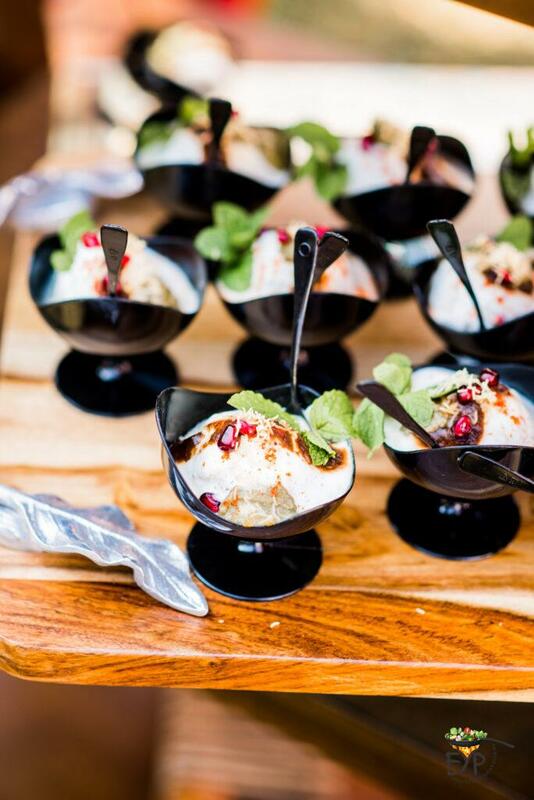 The black color perfectly contrasted the white dahi-vades topped with a hint of green mint and sweet dates chutney. 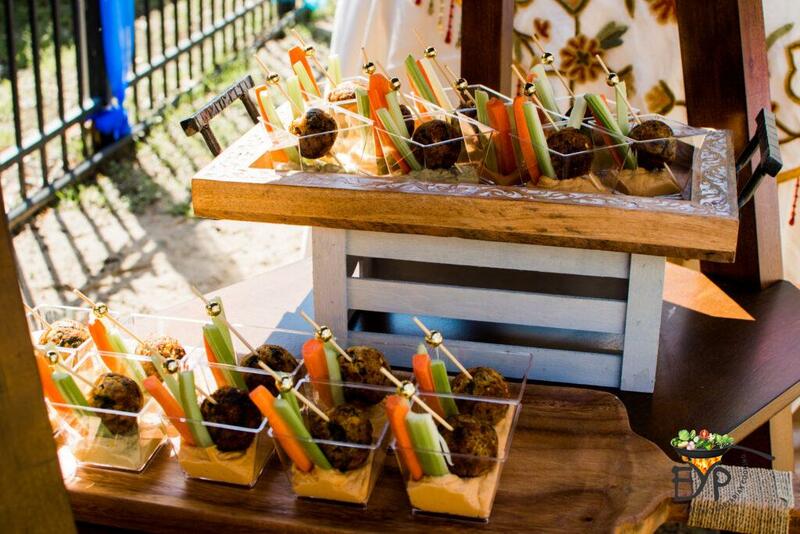 Falafel is a very common Middle Eastern snack in the western word. I included it here just to make sure there are some familiar element in the menu served in new creative style. I made these falafel using my own low-fat recipe which does not include any deep frying. 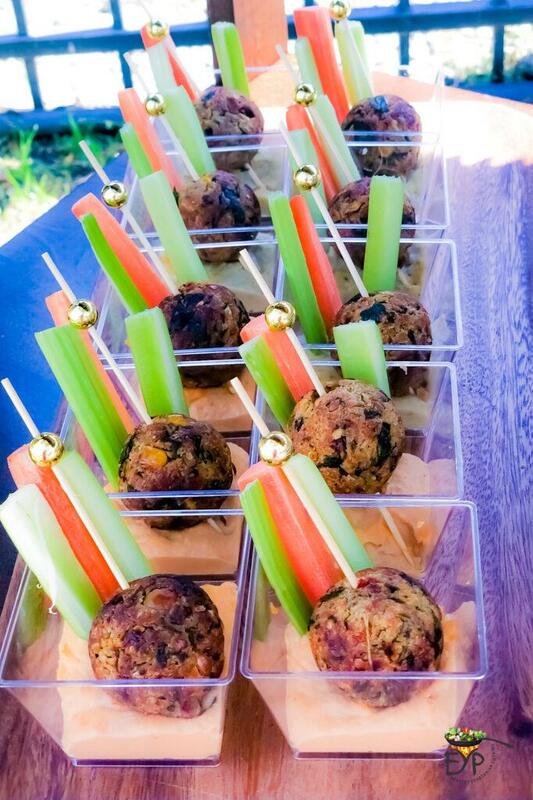 Falafel’s were served in individual portion cups with hummus at the bottom, topped with falafel, celery and carrot sticks. 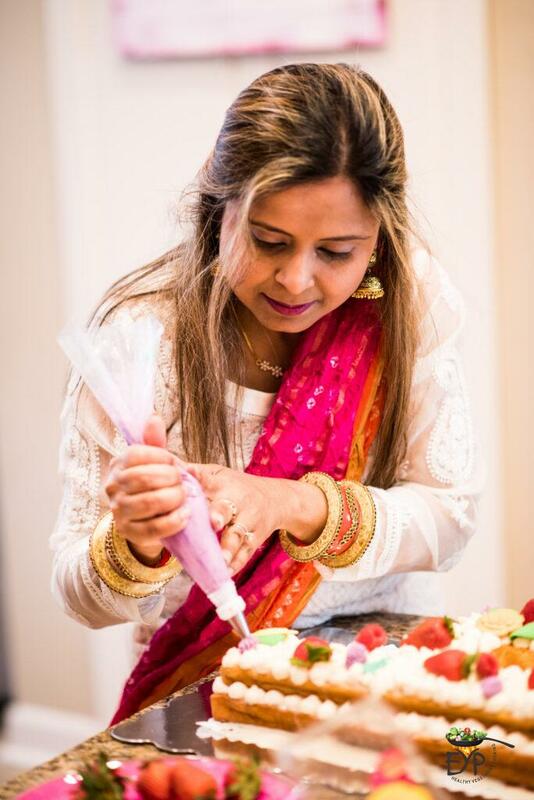 After the main course, I also served Angoori Rasmalai, which is a small boiled cottage cheese (Paneer) balls dipped in densed flavored milk, served cold. Everybody loved it so much that we finished it in a snap and I was not even able to taste it or click a picture of it. 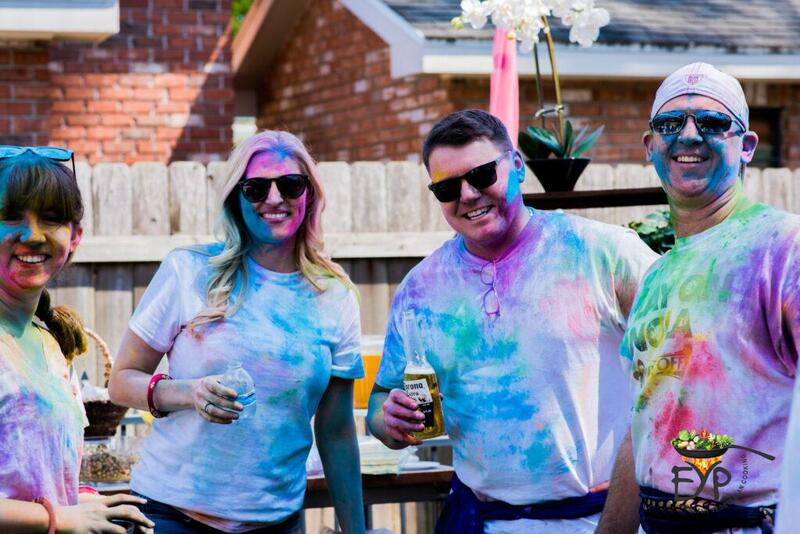 We were all drenched in colors anyway. I’ll post it one day. Happy Birthday to My Fabulous Man! At the end of the day, I did all this to celebrate one special occasion and that was Dr. A’s milestone 40th birthday. He loves the Tres-Leche’s cake, so I made one for him. Usually kids are very particular on what they want for their birthday cake, but in his case choices were wide open. He left it all on myself to decide and I used this opportunity to try my hands-on new techniques. I really wanted to try beautiful spring-like number cake, for which I watched a few you-tube videos. A lot of people were baking the cakes or cookies in a sheet pan and then using a stencil to cut out the numbers. I was not a big fan of that idea and kept looking for easier ways to do the same. So, I went on the hunt for a numbered cake pan. Out of several options that I explored, a “Wilton countless celebrations cake pan” looked to be best for my needs. For the icing, I used whipped cream cheese frosting and for decorations I used iced flowers, fresh fruits and macarons. 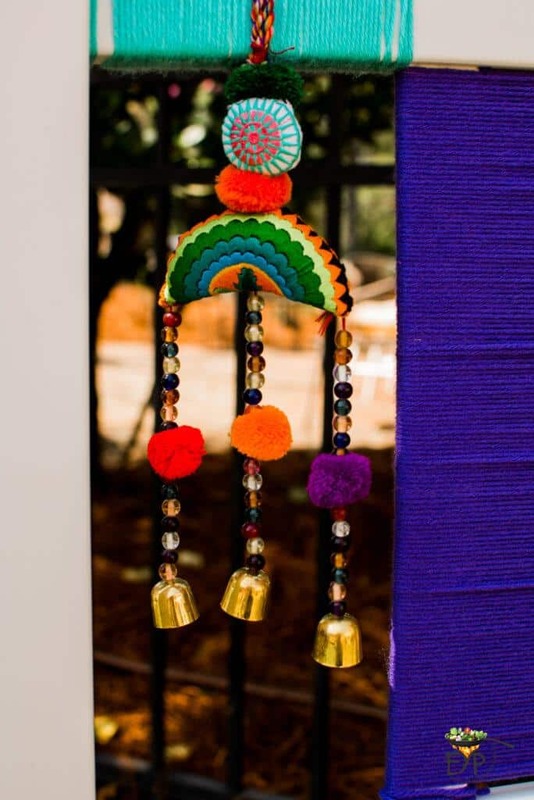 Of course, you can use any combination of decorations, colors etc. 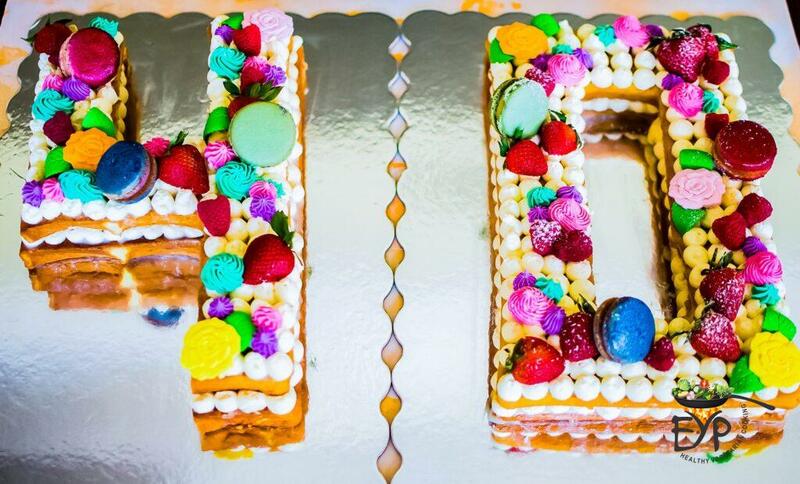 to personalize the cake to your choice. These are the moments we all live for and then cherish for ever! In the End – Everyone had Fun! Due Credits – Thank You! Such a beautiful celebration, presentation and so much off efforts . Hats off to u . Thank you Mugdha!!!! These are the moments we live for, right and at the same time trying to make as many memories I can make with my girls, for them to cherish there childhood memories?